LOCAL EMPLOYMENT SERVICES (LES) are more successful and cost a lot less than JobPath in terms of employment services, the Dáil has heard. Referencing the Indecon report for 2018, Independent TD Thomas Pringle said the cost of finding someone employment through LES is a lot more favourable, and costs about €1,200 less money. 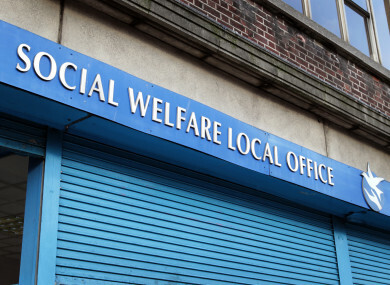 The Department of Employment Affairs and Social Protection contracts for the provision of the LES with 22 organisations, which provides an access point to a range of services and facilities to help jobseekers to enter or return to employment. JobPath, which has cost in the region of €175 million and is operated by two private companies, has been shrouded in controversy. Over 200,000 people have gone through the scheme, which aims to help the long-term unemployed, however, only 11,000 people have found employment that has lasted over a year through the programme. Earlier this year, the Dáil voted to end referrals to JobPath. The cost per full-time employment placement through LES is €2,544, with this figure further reduced when part-time employment is factored in. Donal Coffey of Cork City Local Employment Service, LES recently told an Oireachtas committee that this figure compares extremely well to the €3,718 per full-time employment placement attributed to the private JobPath service. “It is important to note that the figure of €2,544 does not take into consideration savings the State will make in less welfare transfers and income it will receive from tax receipts,” Coffey said. The Indecon report, which reviewed employment services in operation, outlined that the LES achieved a progression rate of 28.8% into full-time employment (working 30 hours or more per week) compared to 18% of referrals for JobPath. Social Protection Minister Regina Doherty said that JobPath “is one of a suite of measures that we offer as part of the State”, and then spoke about the tendering process for such services. “We use a number of contracted models to procure public employment services to supplement the service provided directly by case officers as part of Intreo. Local employment services, job clubs and JobPath providers all provide such services under different types of contracts. “LES and job clubs are on annual contracts that need to be formally renewed every year. They provide for a paid flat fee not related to outcomes achieved. The JobPath providers are engaged under a payment-by-results model with a four year referral commitment due to conclude at the end of 2019,” she said. Her comments come as Sinn Féin launches a party policy document on JobPath which highlights that of the 206,000 people referred, approximately 48,000 are still engaged with the service. sustained in employment for at least 12 months, according to the document. It calls for the immediately cessation of all referrals to the JobPath service and an end the mandatory nature of the scheme. Due to the contracts held by Turas Nua and Seetec – the operators of JobPath – ending this year – Sinn Féin is calling for those contracts not to be renewed. Sinn Féin’s John Brady has looked for the proper resourcing and expansion of existing job activation schemes which are community-based, including the Local Employment Service, Adult Guidance Services, Community Employment, Rural Social Scheme, Tús, and Job Clubs. Both Pringle and Brady have highlighted their concerns with the use of ‘payment by results’ models in job activation schemes, and called for such incentivising to end. He added that Turas Nua and Seetec are receiving the initial JobPath referral fee (€311) on two or three occasions for the same individual, and criticised the low level of people sustaining employment for over a year through the scheme. “The figures also tell us that around 117,000 referred found no employment. JobPath continues to be detrimental to all other existing schemes – CE and the LES in particular,” he said. “Our Dáil Motion to end referrals to JobPath and end the mandatory nature of the service was passed in February with cross-party support. Minister Regina Doherty is refusing to honour the democratic wishes of the Dáil – this must happen,” concluded Brady. Email “TDs say there are cheaper ways than JobPath to get people back to work”. Feedback on “TDs say there are cheaper ways than JobPath to get people back to work”.